Thoughtful, handmade, affordable shoes by NOTA. 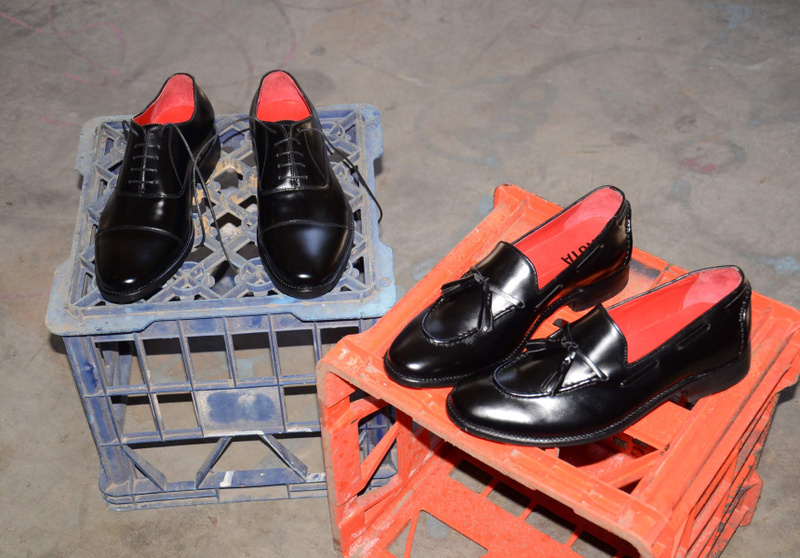 Founded by three Sydney gents, NOTA (None Of The Above), is a men’s footwear label devoted to classic styles, utilitarian design and traditional workmanship. 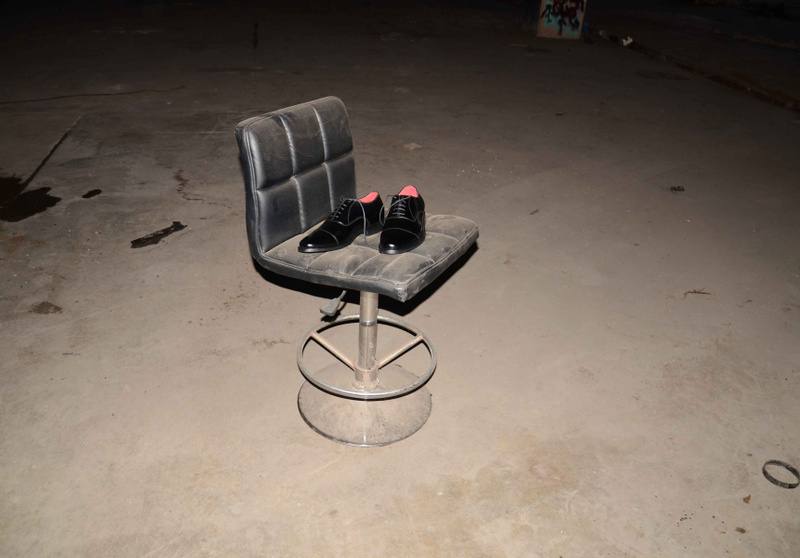 In timeless footwear silhouettes, the label offers several styles; loafers, Oxfords, boat shoes and desert boots. High-quality leathers are used and each pair of NOTA shoes is handmade by a single craftsperson using the Blake Rapid method. It is a durable construction style using a blake stitch on the mid sole and a welt stitch on the outsole . The NOTA website features a video that captures this process, from cutting the first sheets of leather, to making tassels for the loafers. 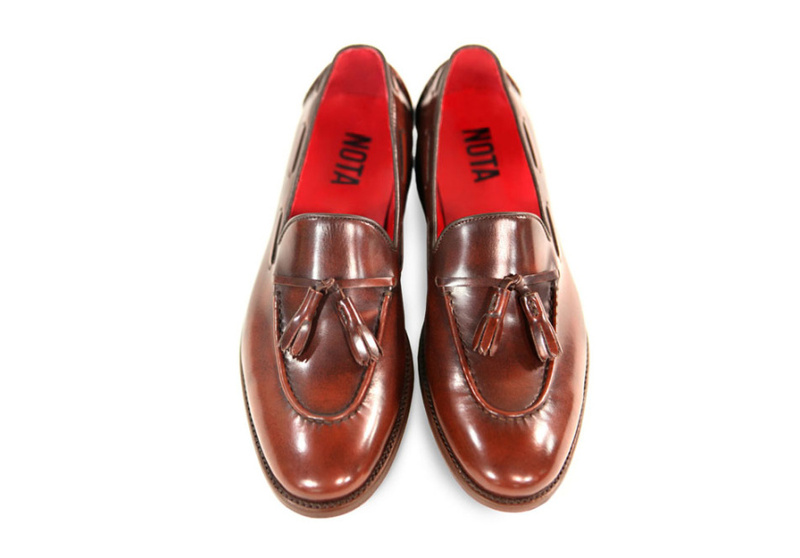 NOTA’s shoes are practical and polished. And they can be re-soled as needed throughout the years. The most endearing aspect of NOTA footwear is definitely the price point. A pair of handmade leather Oxfords will set you back $229. It was this gap in the market for well-made, stylish footwear at an attractive price that inspired NOTA’s creators. As of last week, you can even get your initials monogrammed on the inner soles of your NOTA shoes. A great way to stop your mates stealing them.